Selling or Buying a Lamborghini? Although often shadowed by glamorous Ferraris, Lamborghinis were very special sports cars that lead the industry in terms of designs, with edgy and modern looks. Ferruccio Lamborghini decided to start his own sports car company after having issues with his Ferrari and the first modelthe Lamborghini GT 350 featuring a powerful and well-tuned V12was released in 1964. The Lamborghini Miura of 1966 was the model that really made Lamborghini popular however, thanks to technically advanced mechanics and a startlingly beautiful body. In 1968, Lamborghini introduced the four-seater Espada, followed by the Islera and the Jarama, all iconic powerful and refined GTs of the 1970s. With the Silhouette and the Urraco, Lamborghini was too early, as the market wasnt ready for compact supercars yet. The Lamborghini Countach launched in 1974 offered unmatched performance and was a milestone for the brand. Looking to purchase a classic Lamborghini? 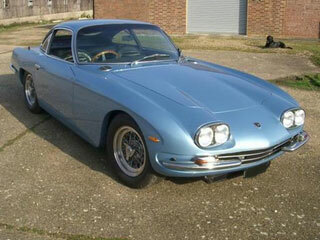 Thinking about buying a classic Lamborghini? The Beverly Hills Car Club team is ready to assist you. Come visit their Los Angeles-based classic car dealership today! The friendly staff will provide you with useful tips and advice on how to make the best deal. One good way to begin is to define what youre looking for in terms of performance, maintenance, options, or history. The Beverly Hills Car Club team would be delighted to speak with you and help you find out what your perfect classic Lamborghini is. Once youve narrowed down your selection, the experts will help you with the research process so that you can find a good car that fits your needs and budget. Dont forget to have the classic thoroughly inspected by a classic Maserati expert to evaluate its right value and make sure you know the cars functioning and future maintenance needs. The Beverly Hills Car Club is looking forward to assisting you with the research, purchase and ownership of your future classic Lamborghini. Come visit the team anytime or give them a call to find out more about their services and current inventory. We Also Buy Classic Lamborghinis In Any Condition, Top Dollar Paid.